Bathampton AA Junior Coaching Program. ‘Clubmark’. It is built around a set of core criteria which ensure that accredited clubs operate to a set of consistent, accepted and adopted minimum operating standards. These core criteria include Duty of care and safeguarding. Bathampton AA has four qualified level 2 and four level 1 qualified angling coaches. From Spring to Autumn a series of beginner or improver events take place for juniors. 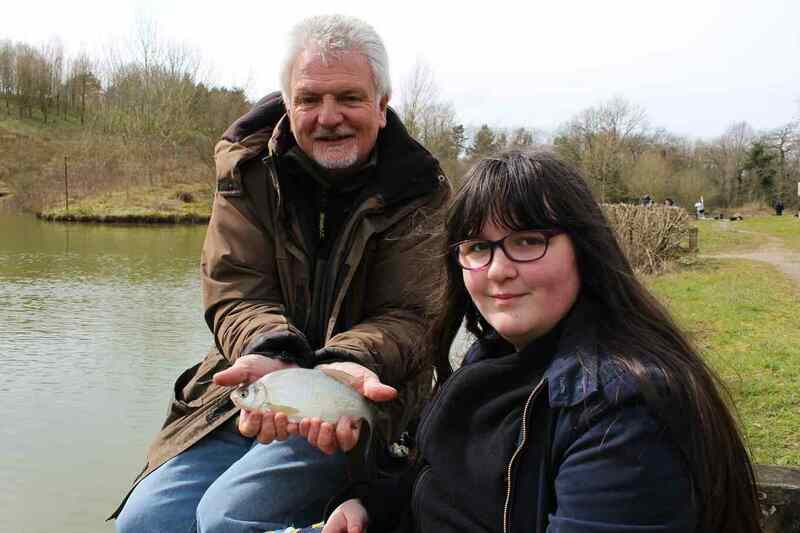 These events are open to non members and members and designed to teach a student the basics of fishing at their own pace. All equipment and bait is supplied and included in the session fee. Parents and guardians are welcomed to stay. All tuition will take place at The Dave Crookes Fishery at Hunstrete on Withy Pool commencing at 10am finishing at 2pm. Bathampton AA is willing to assist any group if possible however weekends are difficult please contact Rod Bracey or Dave Burnham the General Secretary with your enquiries.